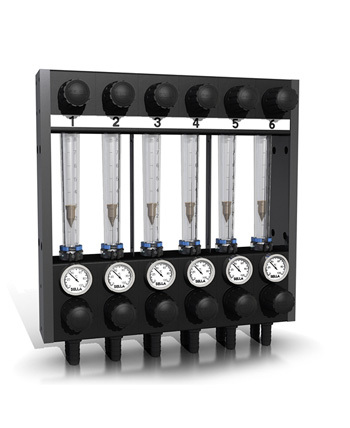 The Flow Regulators are simple and robust devices used to adjust the flow rate and display the work temperature in various processes. The Flow Regulators are employed in stamping presses, tanks calibration, extrusion lines, and much more. The “FR” has a 30 year old history of reliability. 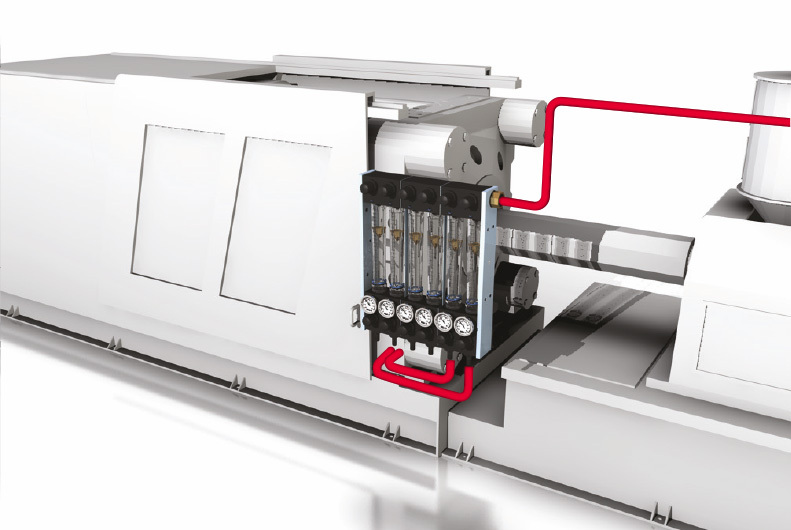 Modular and customizable from 1 to 24 zones, temperature +80°C MAX or pressure 7 bar MAX. Suitable for the display of flow rates from 2 to 45l/min. Modular and customizable from 1 to 24 zone. Temperature +80°C MAX or pressure 7 bar MAX. 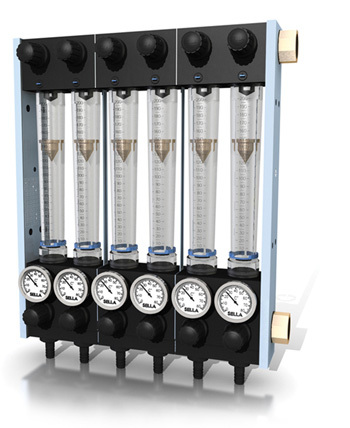 The compact flow regulator, only RMT version, available from 1 to 16 zones. 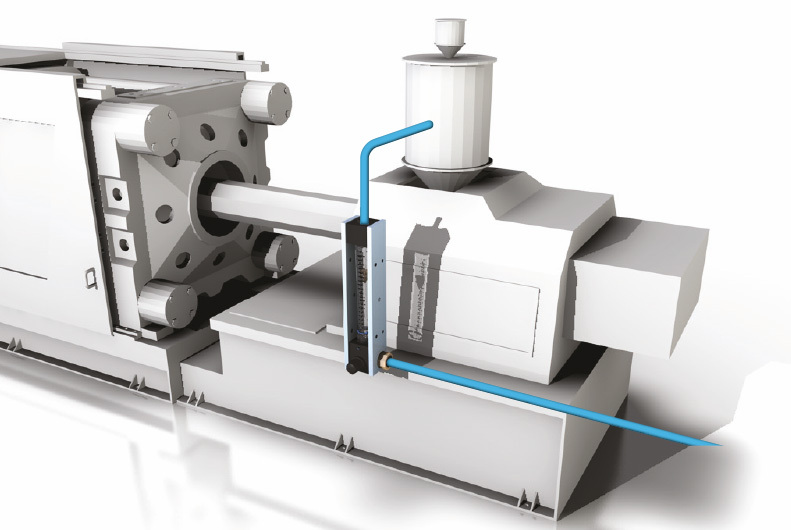 The ideal solution for small presses (up to 1000kN). Suitable for measuring small flow rates up to 8l/min. Temperature +100°C MAX, pressure 10 bar MAX (see table). The 4 zones model is a reliable device just 200mm wide. 4-zone model is a reliable HxWxD 308x200x90 mm device. 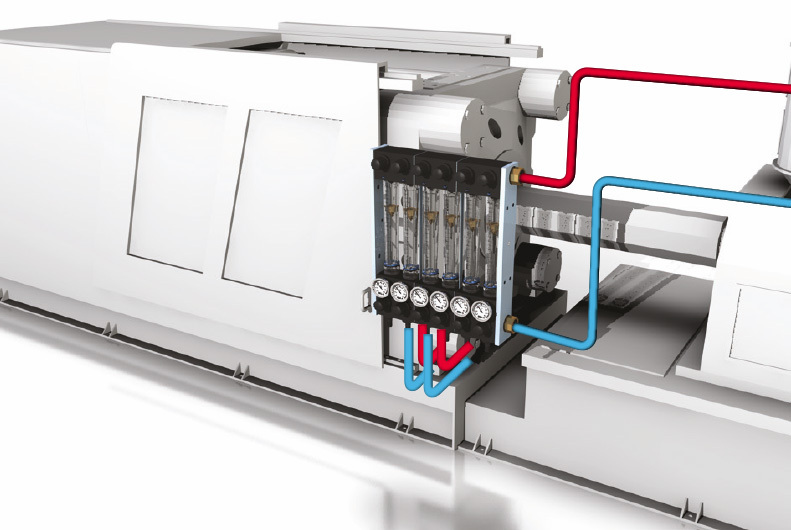 Flow and temperature control plus distributor, with back hoses facing down. Flow and temperature control, to be installed downstream of the application. 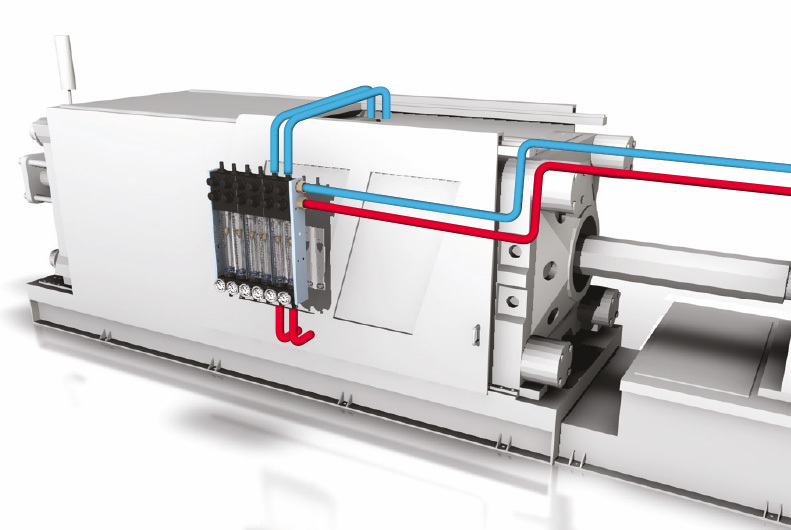 Flow and temperature control plus distributor, with hoses facing up. Flow control, to be installed upstream of the application.